Henry Hollingsworth Smith was born in Philadelphia on December 10, 1815, to James S. Smith and Lydia Leaming. Following in his father’s footsteps, the younger Smith enrolled in the University of Pennsylvania in 1830 as a member of the Class of 1834. Four years later he earned the degree of Bachelor of Arts. During his undergraduate years, Smith was a member of the Philomathean Society. Following graduation from the College, Smith enrolled in the Medical School where he earned the degree of Doctor of Medicine with the Class of 1837. After commencement from the Medical School, Smith traveled to Europe where he continued his medical studies in London, Vienna, and Paris. Upon returning to the United States, Smith served as a resident physician at Pennsylvania Hospital. During his medical career Smith was on the staff of numerous Philadelphia Hospitals, including St. Joseph’s Hospital, Philadelphia Episcopal Hospital, Pennsylvania Hospital, and Blockley Hospital. 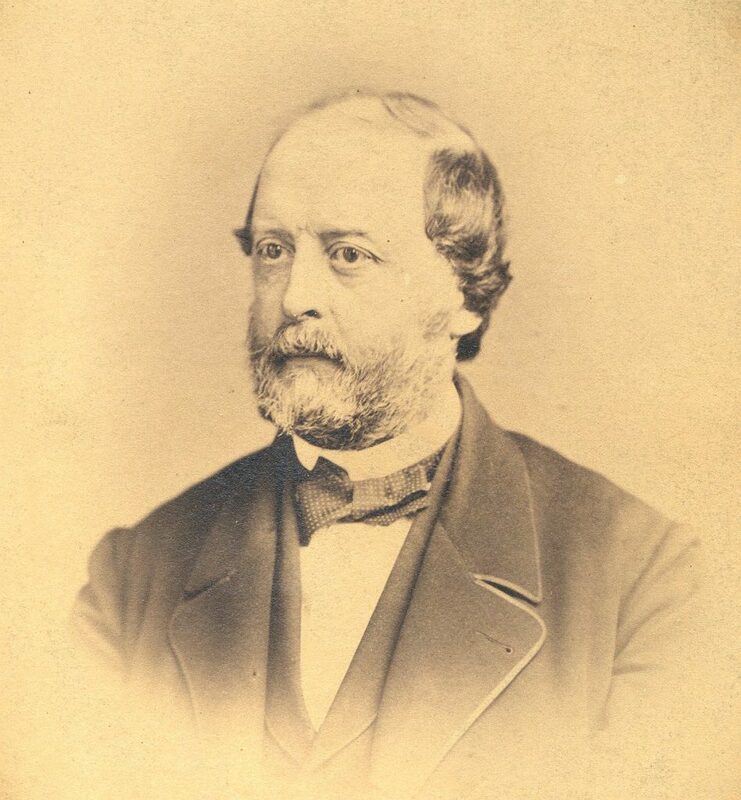 He also returned to his alma mater, first as an assistant in demonstrative surgery in 1849 and, six years later, as a professor of surgery, a position he held until 1871 when he was named emeritus professor of surgery. During the Civil War, Smith served under another former Pennsylvania student, General George McClellan. At the outbreak of the Civil War, Smith was charged with the organization of Pennsylvania’s hospital system in response to the fighting and held the position of Surgeon General of Pennsylvania in 1861 and 1862. Smith organized surgical and medical services at the Battles of Williamsburg, West Point, Fair Oaks, and Cold Harbor, and at the siege of Yorktown. After the war Smith returned to teaching, retiring in 1871. During his distinguished career, Smith wrote a number of books and journal articles on the practice of medicine. He was a fellow in the American College of Physicians, the president of the Philadelphia and Pennsylvania Medical Societies, the chair of the Surgical Section of the American Medical Association, and the chair of the Executive Committee of the International Medical Congress. He also received the honorary degree of Doctor of Laws from Lafayette College in 1885. Smith was married to Mary Edmonds, the daughter of William Edmonds Horner, a professor of medicine at the Medical School of the University of Pennsylvania. Henry Hollingsworth Smith died in Philadelphia on April 11, 1890.